Cleansing has become an important part of my daily routine. I have more energy, sleep better, think faster, and forget less, to name a few of the benefits. I’ve also lost 15 pounds so far! As much as I’ve been trying to lose weight for the last three years, though, the weight loss is just the added bonus. The best part is how good I feel now! I’m finally able to remember where I put my to-do list and my glasses. I’m remembering what I promised my kids I’d do when I dropped them off at school in the morning. Walking feels great and I’m walking three times as long and faster! The constipation, gas and bloating have gone bye-bye for good. My eyes no longer feel heavy or tired. I still have energy after dinner! I get to sleep faster and my sleep is so much more sound and restful. Cleansing is just one part of good gut health, and I’ve spent hundreds of dollars researching and learning more about it. 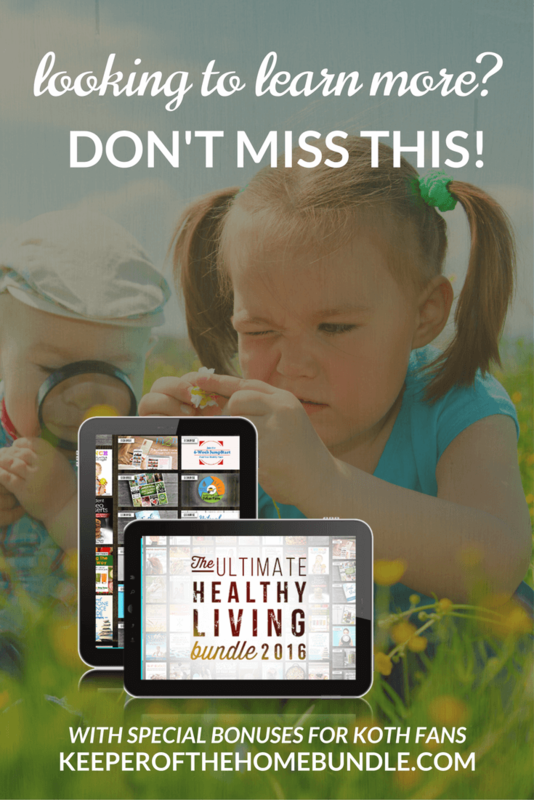 Wish I’d had the resources in this year’s Ultimate Healthy Living Bundle…which have been helping me now (and can help you too!). I’ve been on a three-year struggle with weight. I’ve been angry and depressed. Why was my body holding weight when I was eating healthy, staying super active, and maintaining a great regular exercise routine? No, really: the advice was constantly to eat less and exercise more, to fast, or to get on this diet or that special menu. In the midst of this, I FELT crazy: brain fog, sluggish, in bed at 8:00 each night. I read article after article and spent countless money on lab tests at the doctor and on meds and supplements like armour thyroid. I felt like no one was listening and nothing was happening. Earlier this year I began working with a nutritionist who…LISTENED!!! My body wasn’t letting go. You know, letting GO. Did you know you can hold up to 25 pounds of gunk in your intestines? It’s like plaque in your arteries, clogging the path. It prevents your body from absorbing the nutrients you need and keeps it from ridding itself of harmful toxins. And then your body can’t function properly. Which means you don’t feel good. The answer for me was cleansing. I wasn’t going to get help without it. If you are ready to start a cleanse, start easy. If you feel you need to dive deeper, don’t do it alone! Find a health practitioner who can guide you for a safe cleanse and stay with you throughout the process. Use a dry brush before you shower. Take a shower immediately following dry brushing, alternating hot and cold water. Drink warm lemon water with a touch of apple cider vinegar first thing in the morning. Before bed at night, take a salt bath. Take probiotics to give your gut a healthy microbiome. If you are thinking you need a serious, go-all-out cleanse, I highly recommend doing so under the care of a nutritionist or other health care professional who you know and trust, who LISTENS to you. There have been times when I wanted to give up and times when I was concerned that I felt I was giving birth to my intestines! My nutritionist has been there to hold my hand and make appropriate adjustments as needed. As I mentioned before, this year’s Ultimate Healthy Living Bundle is FULL of resources to help you learn and appreciate how to prioritize your gut health. You can learn about gut health and make your life better…so if you haven’t already, be sure to check out the bundle’s Alternative Health section (and the MANY other eBooks and eCourses included!). Serious cleansing can be a serious matter. More and more we are learning just how important our gut health is. For example, this powder is what I use. I know, it’s gross. The first time I drank it I gagged too, but I didn’t give up. I figured out the right consistency of powder and water and add the juice of half a lemon. Now I can easily chug it! Check with your healthcare provider to see what they recommend if you think you need a colon cleanse. All too common prescription medications. In this case, a state of toxicity overtakes the body. A colon cleanse then becomes one of the most important steps in detoxification. Cleansing has become an important part of my daily routine. I have more energy, sleep better, think faster, and forget less, to name a few of the benefits. Losing weight has become the icing on the cake, second to how good I feel! If you are ready to start a cleanse, I recommend starting easy. If you feel you need to dive deeper, don’t do it alone! Find a health practitioner who can guide you for a safe cleanse and stay with you throughout the process. Q & A: On a cleanse while breastfeeding?